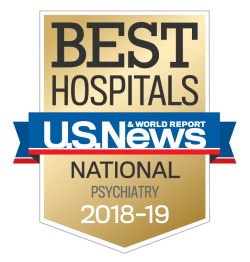 At Sheppard Pratt, new neuropsychiatry patients are always welcome. The information you provide about previous care can help you or your loved one get the most out of each visit. We explain payment options and other details to help you prepare for the appointment. We ask you to provide information that helps us more quickly get to the source of the problem. We accept Medicare and Medical Assistance. We also accept private insurance for most of our offerings, except general neuropsychiatry services. Please bring the patient’s current insurance cards to your appointment. Co-pays and any other charges, such as a deductible, will be due at the time of service. If you have additional insurance related questions, please call 410-938-3398. You will receive a reminder call two business days before the appointment. Should your scheduling needs change, we’d be happy to assist you. Please make any rescheduling requests at least 24 hours before the appointment.